Original produced in 2002; 12"x10"
Braldt eventually did portraits of the other Beatles to complete the gallery of the Fab Four. 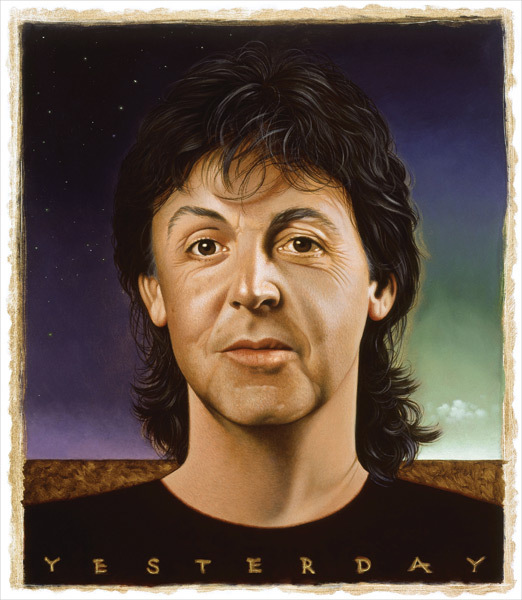 In Paul's portrait “Yesterday” the previous evening’s landscape segues into the morning of a new day. 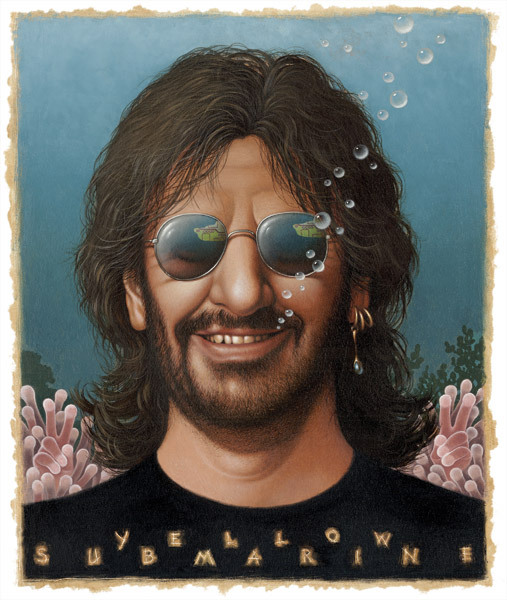 In Ringo's “Yellow Submarine” the sea anemones have grown into his signature peace sign. 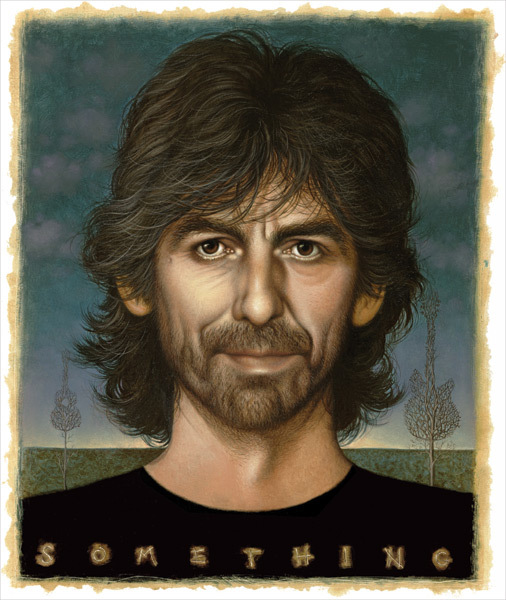 In George's “Something” the dead trees’ branches form his favorite instruments, the electric Rickenbacker guitar and the ukulele he so loved. George is gone, his music lives on. Most of the images in the Portraits Portfolio are available as prints in small editions, signed & numbered by the artist. State-of-the-art printers produce our canvas, metal, and archival paper prints. 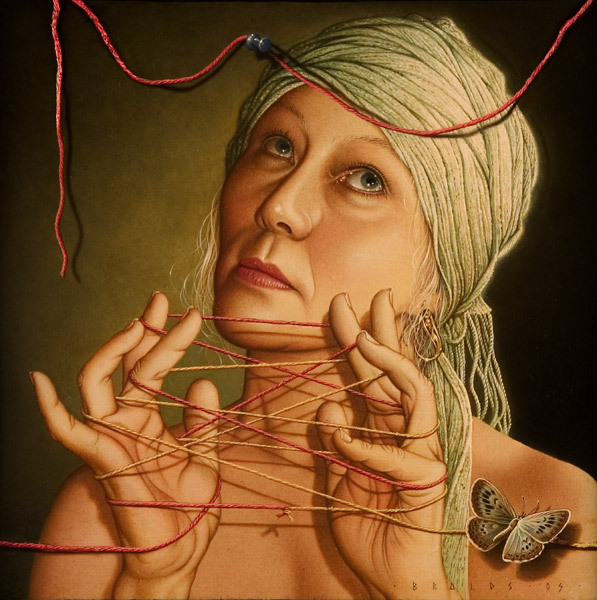 Original produced in 2002; oil on panel, 12"x10"
Most of the images in the Portrait Portfolio are available as prints in small editions, signed & numbered by the artist. State-of-the-art printers produce our canvas, metal, and archival paper prints. Original produced in 1993; oil on panel, 12"x10"
Original produced in 1999; oil on panel, 12"x10"
In the late 1990’s Braldt got a call to paint Johnny Cash for a story the magazine was featuring on the country singer’s life. Braldt wanted to convey this reformed man’s good character, with a nod to his waywardness as a young man. 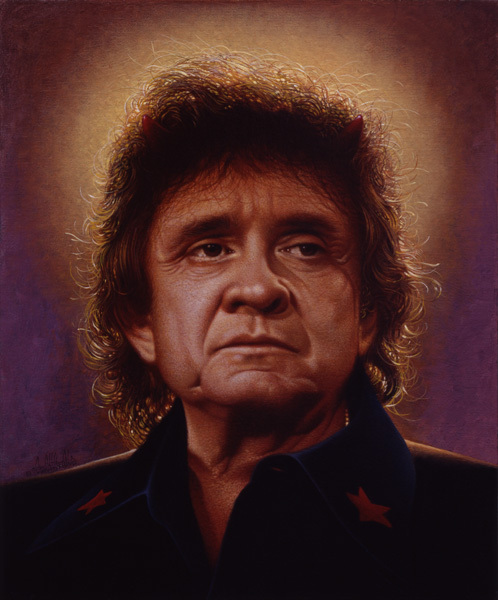 “Holy Devil” shows an angelic light about Johnny, but those horns are still peeking through. Original produced in 2004; oil on panel, 12"x10"
In 2004 Rolling Stone put out the first of two special issues, “The Immortals”, to celebrate the 50th Anniversary of Rock. It had been that long since Elvis Presley had walked into Sun Studio and cut his version of Arthur Crudup’s “That’s All Right”. 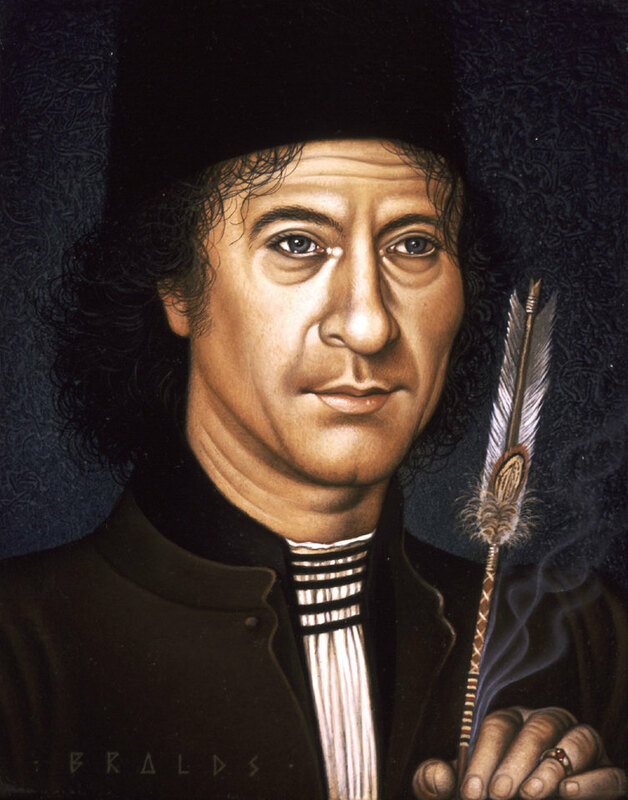 Different musical artists were asked to write about each of these immortals, and Bono of U2 was definitely the right man to put on the job for Elvis. He nailed him, with a very cool understanding of how this audacious teen shook up the American psyche of the Fifties, “the man who took the Anglo-Saxon stiff upper lip and curled it forever”. The second volume of “The Immortals” came out in 2005. Again, each musician’s story was written by a fellow musician. 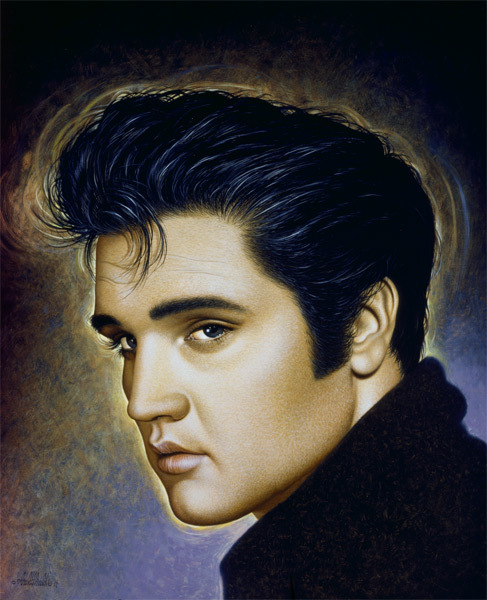 John Fogerty of Credence Clearwater was asked to write about Ricky Nelson, and Braldt was asked to paint his accompanying portrait. 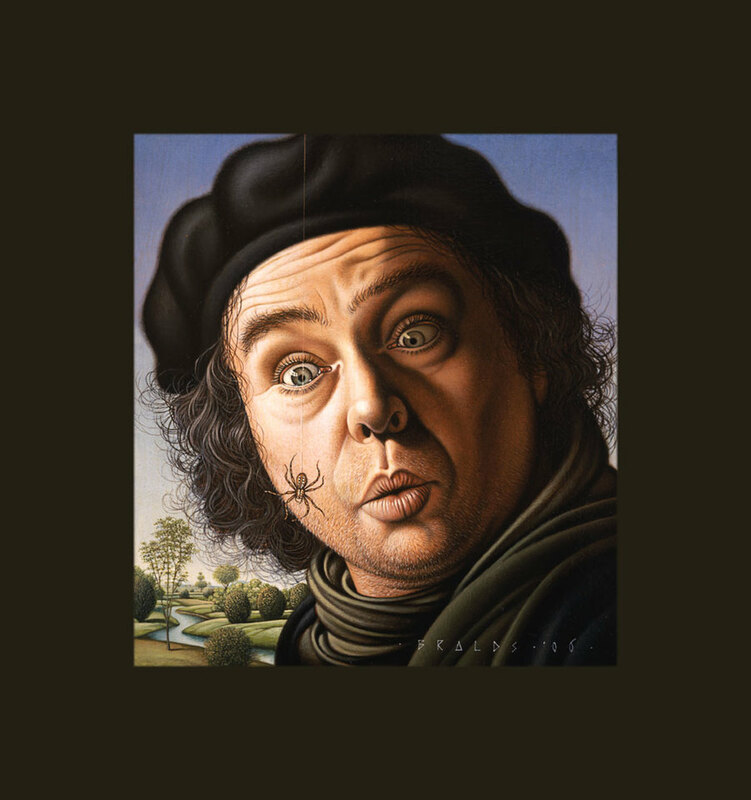 Original produced in 2007; oil on panel, 5.25"x4.25"
For the portrait of "The Gentle Man Braldt" used Federico Castelluccio, a former painting student and an old friend, for his model. Unlike the cold brutal character of Furio, who Castelluccio portrayed in "The Sopranos", Federico is indeed a man of gentle demeanor, with elegant manners and a generous heart. Braldt approached this small jewel of a painting with Hans Memling in mind, one of his best-loved silent teachers. Original produced in 2004; oil on panel, 10"x10"
In 1996 Braldt Der Spiegel Magazine invited Braldt to portray Che Guevara for an upcoming issue that featured a story of the Argentine doctor who became a revolutionary fighter during Cuba’s tumultuous transformation from a country run by a corrupted government into a communist nation. 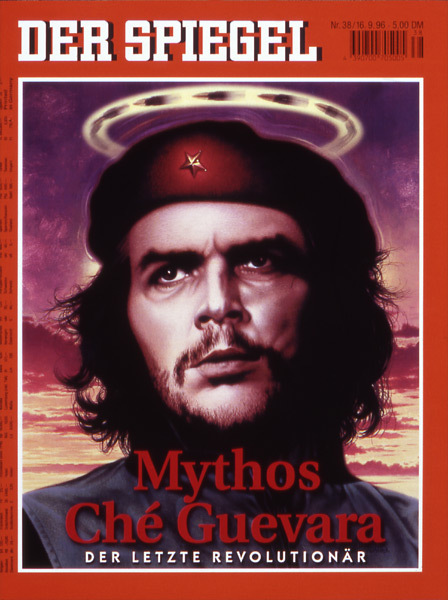 Guevara went on to work for change in South American countries, eventually becoming a guerrilla leader in Bolivia. In 1967 he was captured and executed. Using Che’s famous black & white photo as reference, Braldt fleshed out the image and placed Che in the forefront of a fiery sky. 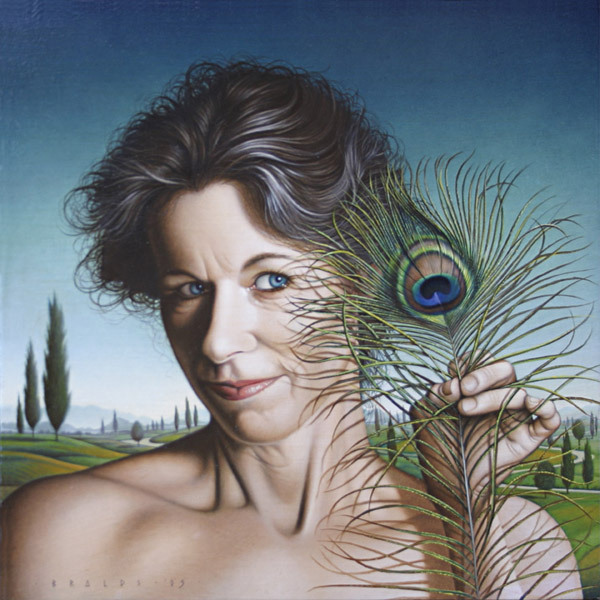 Original produced in 2008; oil on panel, 12"x12"
Original produced in 1976; oil on canvas, 17"x14"
In 1976, at age twenty-five Braldt had already built a business as a free-lance illustrator in Rotterdam. Good commissions were starting to come his way. 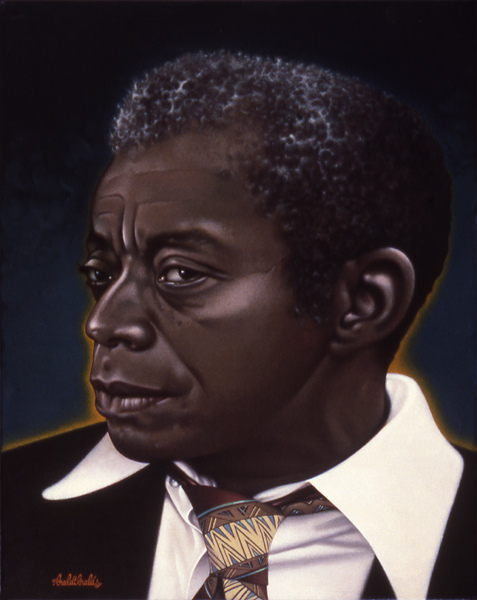 He was contracted by Avenue Magazine, Holland’s classiest publication at the time, to paint a portrait of James Baldwin. The magazine was publishing a major profile about this American author and playwright, who in the 1960s was an outspoken leader in the civil rights movement. 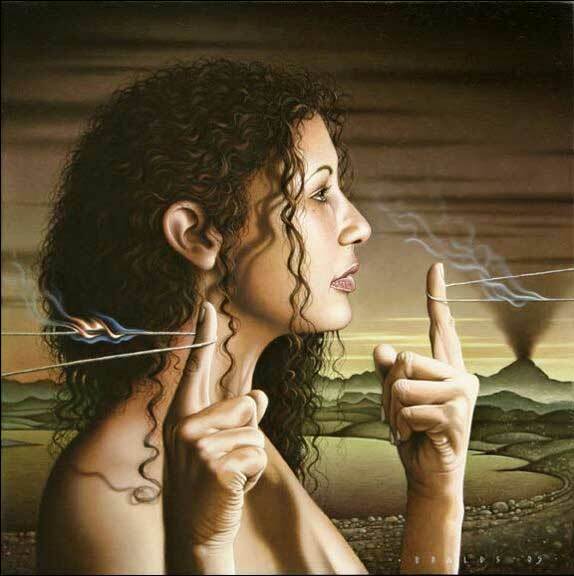 Original produced in 2009; oil on panel, 10"x10"
Original produced in 1999 for "Der Spiegel" magazine; oil on panel, 16"x12"
In 1999, with the millennium on its way out, Der Spiegel featured Albert Einstein in their last issue of the year, of the millennium. Einstein, a German-born theoretical physicist and humanist, redefined the Universe for us, bending time as well as relativizing reality. Einstein came to feel that there was extraordinary intelligence behind the workings of the Universe, and was a life-long pacifist who abhorred war. After Einstein’s death in 1955 his brain was autopsied, and it was discovered that it had an unusually large portion of “glial” cells in the region that synthesizes information. And Einstein’s brain lacked a particular kind of wrinkle found in most humans, which allowed his neurons to communicate better with each other. 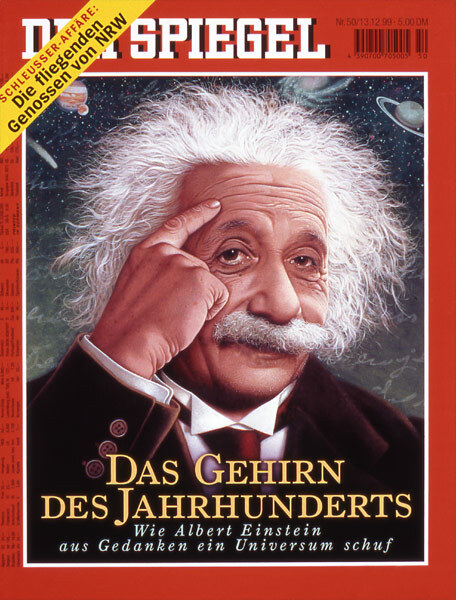 This portrait of Einstein eventually became the signature image used in the publicity for Der Spiegel’s traveling exhibition titled “The Art of Der Spiegel”. Available as prints in small editions, signed & numbered by the artist. OF NOTE: Our prints do not include the written material seen on this image. Braldt's portraits are widely collected, both as singular portraits and as magazine and book covers. Designers love these in groupings for a variety of settings. Contact us to place your order or discuss special sizing.